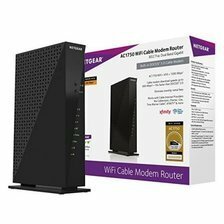 Pros Unlike most competitors, this is a dual-band WiFi router and cable modem in one convenient package. Supports wireless hard drive sharing among devices. Cons Nearly twice as pricey as many of its competitors. Summary Satisfied customers don't mind spending a bit more for a fast, efficient modem that easily handles many devices at once. Pros A solid choice for its generous download and upload speeds - not to mention connectivity to newer and older Windows and Mac computers. Cons The ultra-bright LED lights, which brighten up any room at night, can be a bit annoying. Summary A top contender for its reasonable price tag and reliable results among most cable providers. Pros Provides consistent, reliable service for a very affordable price. Stands out for its simple setup and lightning-fast broadband connectivity in any home or office. Cons This modem's Link light continuously flashes -- an annoyance to a handful of customers. Summary Without a doubt the best value for your money. 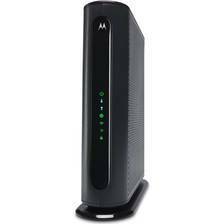 A well-rounded modem that will perform well and last a long time. Pros Easy and straightforward installation. Compact size. Cons Not compatible with Comcast. The device also runs a bit hot. Summary It's not flashy, but this modem gets the job done and is reliable over time. The Netgear just edges it out because it is a newer version. Pros A top choice for its super-fast download and upload speeds - made especially for those that stream HD Video content. Compatible with all major cable providers. Cons Is not compatible with Cox Cable out of the box, but it can be configured to work. 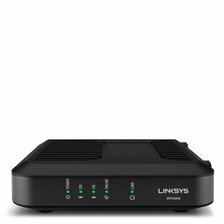 Summary Undoubtedly the best modem on the market right now. 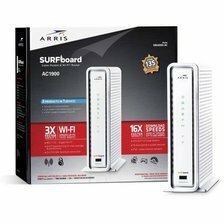 You'll get a tremendous boost in performance and speed when using this modem.